Manchester City Ready To Make Bid Around €100m For This Serie A Defender: Right Choice For Pep? 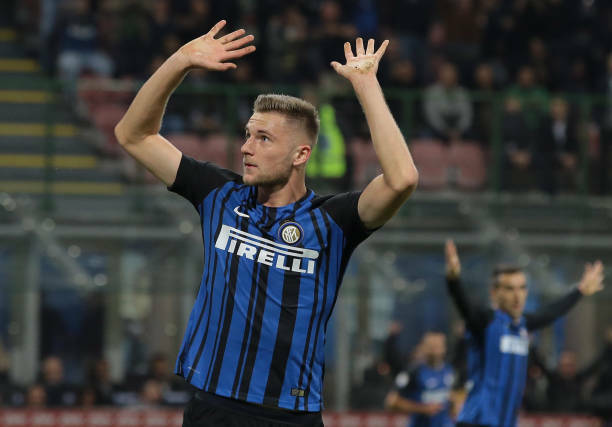 According to a recent report by the Spanish news outlet, AS (via Calciomercato), Manchester City are ready to make a bid of around €100m to try and secure the services of Milan Skriniar from Inter Milan. The same source has revealed that the Citizens will face stiff competition from Real Madrid and Barcelona in pursuit of the Serie A defender. The Slovakian international grew up playing football back in his homeland playing for clubs like MSK Zilina and Zlate Moravce before making a switch to Italy to represent Sampdoria. He performed well during his spell at the Genoa-based club which saw Inter snap him up in the summer of 2017. Since his high-profile move to the San Siro, the centre-half has made a total of 76 appearances for the Italian giants and has four goals to his name. The 23-year-old centre-back has enjoyed a solid campaign with Inter helping them climb up to the 3rd spot of the Serie A table. The Žiar nad Hronom born prospect has featured in 36 matches for Luciano Spalletti’s side this term and has one assist to his name across all competitions. More importantly, he has made an average of 2.0 tackles, 0.8 interceptions and 4.3 clearances per match in the Serie A this season (Stats taken from Whoscored). Skriniar knows how to defend his own box and can be a commanding presence at both ends of the pitch. He is aerially dominant and can make essential clearances for his team. The Inter defensive ace is widely regarded as one of the best centre-halves in the Italian top-flight. At 24, he is currently playing at his prime which means that the Citizens would be getting the best out of him if they end up sealing a move for him in the summer. 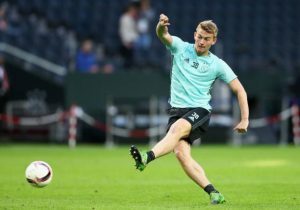 The potential addition of Skriniar would undoubtedly bolster Pep Guardiola’s defensive options at the Etihad Stadium. Man City already have some talented defenders in their ranks such as Vincent Kompany, Nicolas Otamendi, John Stones and Aymeric Laporte competing for a starting berth at the blue half of Manchester. Skriniar is quite versatile as he can operate as a central midfielder as well which could be useful for Guardiola heading into the new season. All in all, he will be a fantastic acquisition for the Citizens if they can orchestrate a deal for him next summer. Tottenham Hotspur Send Scouts To Monitor Progress Of French Midfielder: What Will He Add To Spurs? Everton Eyeing A £20m Summer Move For Tottenham Hotspur Defender: Wise Move For The Toffees? 23 Y/O Manchester United Target Set To Stay At Inter Milan: Big Blow For Mourinho’s Plans? 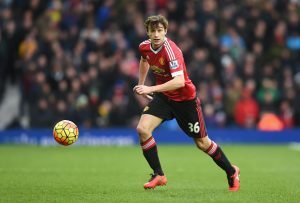 Manchester United To Lose Their Defensive Star To European Giants? Wolves Ready For A Swoop For 18 Y/O Youngster: Much Necessary Addition By Espirito Santo? Huddersfield Town Eyeing An Ambitious Move For This Serie A Defender: Much Needed For Wagner?